Over the next few months, you might see officers from Agriculture Victoria working at Clayton campus. They’re hanging out with any brown marmorated stink bugs (BMSB) they can find, as part of a short trapping and surveillance program. 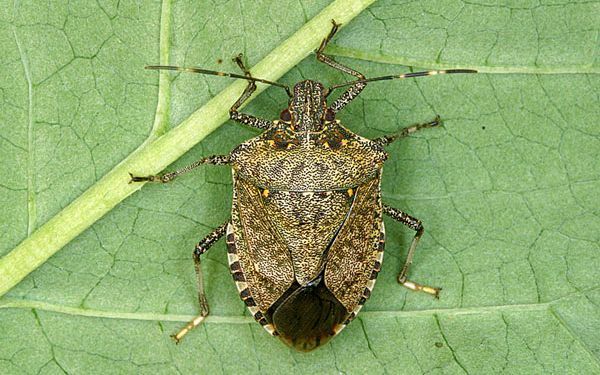 What are brown marmorated stink bugs? They’re small bugs known for the very unpleasant odour they create when disturbed or squashed. If you find one - leave it alone! Call the Exotic Pest Hotline on 1800 084 881 or the Buildings and Property Helpdesk on 03 9902 0222 (Mon-Fri, 9am-5pm). They don’t harm humans or animals, but cause a lot of damage to vegetable crops, fruit and ornamental trees. Agriculture Victoria tell us they’ll be looking for BMSBs in all their favourite hiding spots: buildings, vehicles, machinery and sheds. And they’ll stop the bugs from spreading using standard biosecurity procedures. So don’t be alarmed if you see the bugs or the officers. They’re just doing what they do best!